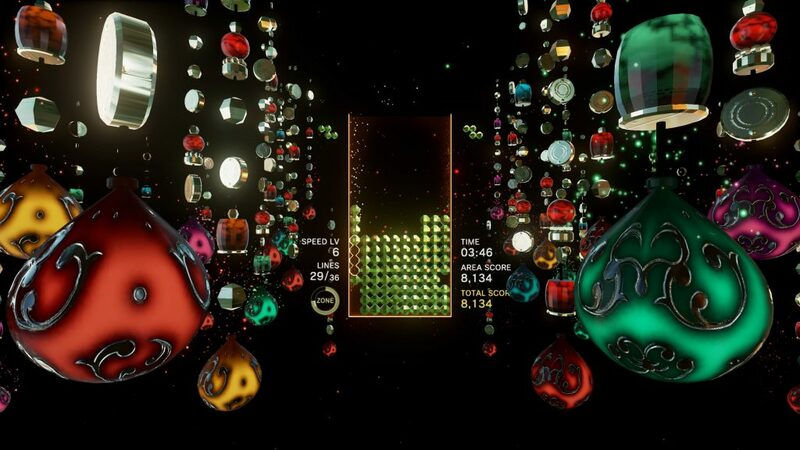 It’s been a while since PSVR owners had a reason to get excited but Tetris Effect, the latest project from Rez and Lumines creator Tetsuya Mizuguchi, is creating quite a stir in the media and the recent demo of the game has got gamers falling over themselves to give it as much praise as possible. But how does it stack up? Can Tetris‘ thirty year old formula cut it in this generation? 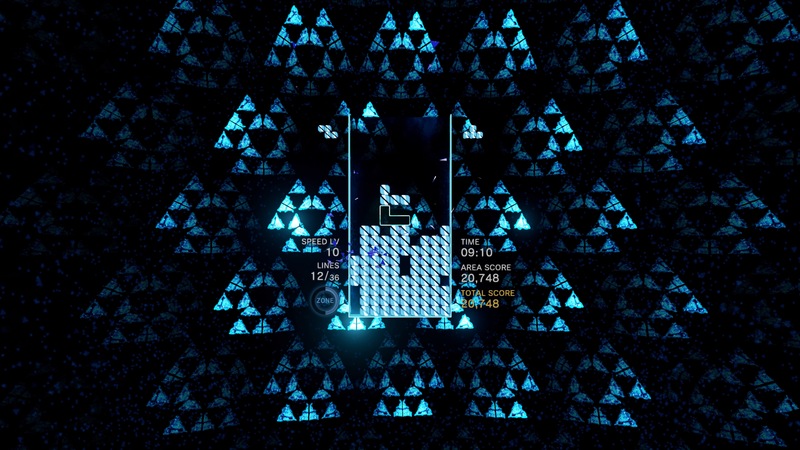 The game’s title refers to the peculiar mental side effects that Tetris players have experienced in the past. From seeing falling blocks when you are trying to sleep to suddenly feeling the need to pack your shopping bags as perfectly as possible. It’s a real thing and Tetsuya seemingly wants to mainline it into new players’ heads by bringing it to the PSVR headset, although the game is also playable outside of VR too. In terms of gameplay, this is Tetris as you know and love it. The game initially offers you two modes. Journey gives you over thirty stages of relatively classic Tetris gameplay. If you’ve been recently hit by a car and lost all your memories or are new to this planet, the game has blocks made up of four smaller blocks in various shape configurations dropping down and you have to steer and rotate them to create lines which then disappear. Right, I’m not doing that. I’m not explaining Tetris. It feels stupid doing it. So what’s different? Well, you’ve got the now-standard ‘hold’ feature which allows you to store a block and then swap it in when you need it which is handy when you need the ‘i’ shaped block to complete four lines at once but is also good for temporarily getting rid of a shape you can’t use. 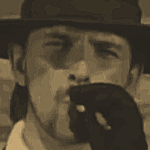 The most interesting new addition is the ‘zone’ meter. This builds up as you complete lines and when the meter is full, pressing slows everything down and you have a limited amount of time to clear more lines. These completed lines are pushed to the bottom of the play area and when your time runs out, they are all cleared. Good players will use this to boost their scores while average players will use this to get out of trouble when they start running out of space. The different stages of this mode all play the same, albeit at different speeds (faster is harder in this game) and each of these stages you need to clear 36 lines to progress. The final stage requires you to clear 90 but by the time you get there, you should be reasonably adept at clearing lines quickly. Just getting through the game is actually reasonably easy. The longevity in this mode will come from the competition of getting better scores and that’s where you’ll need to understand the few complexities of Tetris such as how to combo and knowing what a T-Spin is. A tutorial explains it if you want to get to grips with those mechanics. The game’s other main mode is the ‘Effect’ mode. This offers a selection of variations on the main theme. Some of these are based on classic Tetris with targets or time limits acting as the main restrictions while others are more about relaxing and just enjoying the game’s presentation. Most interesting is the final mode which throws a bunch of gameplay modifiers at you, most of them making the game harder such as flipping the screen upside down or dropping massive oversized blocks on you. This is just a small part of the overall package though, which is mostly just standard Tetris. However, Tetris Effect isn’t a game that is strictly just about the gameplay. Much like Tetsuya Mizuguchi’s other celebrated works, the presentation is a huge factor when it comes to this game. You can see the man’s influence immediately here with his signature colourful, stylish aesthetic being very much apparent. Each stage in the Journey mode has a different theme and each builds up in intensity, kind of like how Rez works, as you clear more and more lines. They aren’t necessarily ‘impressive’ but they are often beautiful and captivating. Well, when you can take them in. Most of the time your focus will be squarely on the gameplay area in the middle and that part of the game is fairly basic. The colours and blocks change in the same way that they do in Lumines but it’s still just Tetris in flat 2D. This leads to the realisation that Tetris Effect‘s overall package is as much about the presentation as it is the gameplay, maybe even moreso. At the heart of it, this is just Tetris and they’ve been making nice looking and sounding Tetris games ever since Tetris Pro hit the Amiga in the early ’90s. Being in the headset helps a lot though. Outside of it, the game runs and has the benefit of HDR support but looks absolutely tiny if you’ve played it in VR first. Either way though bring your headphones. So, rather unhelpfully, your mileage will vary. 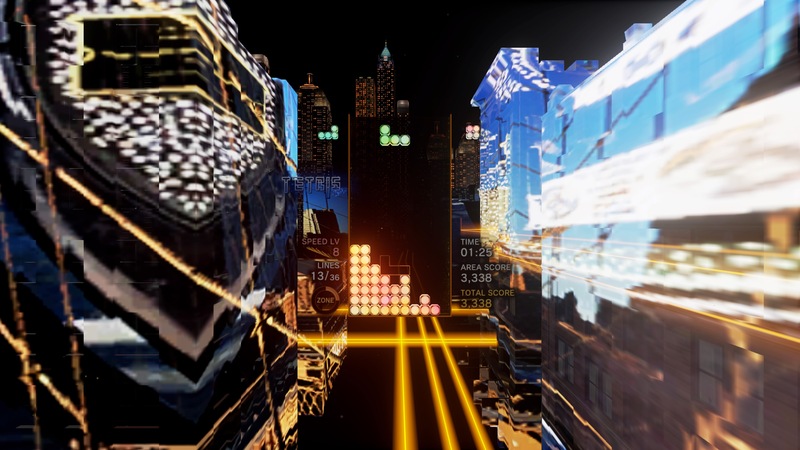 This is a game that VR enthusiasts, Tetris obsessives and fans of Mizuguchi’s games should definitely pick up but equally it could also just be seen as Tetris with a nice visualiser. We like it a lot but Rez Infinite, which this reviewer gave the maximum score to, remains king of the VR games and edges this out in terms of gameplay, presentation and general wow factor. 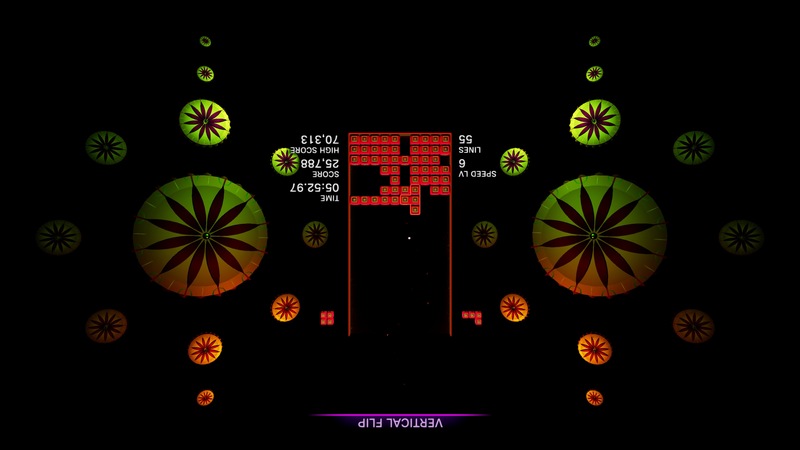 Also, the puzzle game genre has moved on since the ’80s and we tend to favour things like Chime Sharp for its more involved gameplay and even the PS+ freebie Tricky Towers for it’s more challenging gameplay (where more difficulty isn’t just more speed), while the recent indie rhythm action title Aaero gave us a stronger connection between gameplay and music than Tetris Effect does. With all that said though, Tetris Effect definitely rockets straight into the top five of PSVR games you need to own but just watch out for the hype a little. It’s absolutely worthy of buying right now but don’t be surprised if you’re one of the group of people that don’t see the face of God in it. 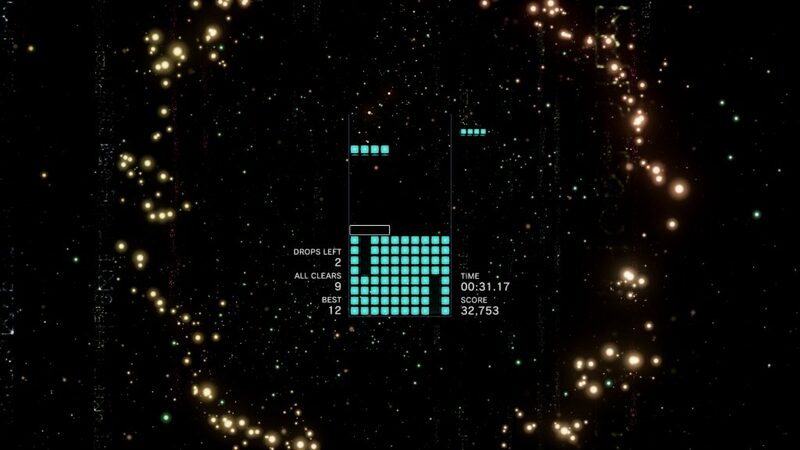 Tetris Effect offers sublime presentation and a powerful VR experience but it is still just Tetris on a gameplay level and so may not wow everybody.